John Hancock is certainly one of the premier life insurance companies. The Company offers many products and often competes for the top rates, especially for life insurance for seniors. In the following John Hancock review, we will discuss the pros and cons of the company and offer an alternative. This is the place for you if you are looking for John Hancock Life insurance reviews. John Hancock is a solid company with a solid reputation for being an innovator in the life insurance marketplace. In this John Hancock Life Insurance review we will touch on the company’s strengths and weaknesses and provide an alternative if John Hancock is not the best life insurance company for you—based on your unique need, health and lifestyle. The video will help you understand the importance of comparing life insurance quotes from different insurance companies. John Hancock is owned by Manulife, a Canadian-based financial services group that focuses on the financial needs of customers in 22 countries and territories around the globe. All ratings are current as of September 2016. A.M. Best: A+ (2nd highest of 15 ratings) – Superior ability to meet ongoing insurance obligations. Standard and Poor’s: AA- (4th highest of 21 ratings) – Very strong financial security characteristics. Moody’s: A1 (5th highest of 21 ratings) – Low credit risk. Fitch ratings: AA- (4th highest of 19 ratings) – Very strong capacity for payment of financial commitments. Level term life insurance provides fixed premium payments for the duration of the term. You can choose 10, 15 and 20 year terms. Once your term expires, the policy changes to annual renewable term (ART). Since you get older every year, your renewal rate increases due to your increasing cost of insurance (COI). An alternative is to choose to convert your life insurance to permanent life insurance, choosing one the the other coverage types, such as universal life, indexed universal life and variable universal life. Total Disability Waiver rider: waiver of premium rider if you become totally disabled. Accelerated Benefit rider: accelerated death benefit rider that pays out from the death benefit while you are still alive if you are diagnosed terminally ill with 12 months or less to live. Universal life offers flexible premium payments and the ability to adjust your death benefit up or down. Your policy accumulates cash value and is credited with an interest rate declared by the company, that typically includes a minimum guarantee. John Hancock offers three diffferent IULs. The Accumulation Indexed Universal Life (IUL) offered by John Hancock is available up to age 90, although the Vitality program is only available to issue ages 20-70. The IUL offers two main accounts, fixed and indexed. The fixed account earns an interest rate declared by the company and has a guaranteed floor of 2%. The indexed accounts all have a guaranteed 0% floor. The indexed accounts are comprised of a high par capped indexed account, a capped indexed account and an uncapped indexed account. Standard loans and indexed loans are available. Indexed loans do not affect the the credited rate earned for the cash used as collateral for the life insurance loan. The indexed loan rate is variable and can result in net loan cost or gain, depending on how the indexed account performs. Three different death benefit options are available. You can choose level premiums, level premiums with return of premium or an increasing death benefit. Variable life insurance is sold by prospectus only. Unlike IULs where your money is placed in indexed accounts that track an equity index, such as the S&P 500, variable life insurance is an investment in variable sub accounts. As a result, there is a substantial amount of risk involved. John Hancock’s Accumulator Variable Universal Life (VUL) offers over 60 investment accounts to choose from. There is a 0% loan spread in policy years 11+. John Hancock claims to take advantage of the latest advancements in technology to make the underwriting evaluation as streamlined as possible for the company’s clients. The proof of this statement lies in the various niches that John Hancock life insurance addresses. Update as of April 8, 2015 to our John Hancock Life Insurance Company Review: John Hancock has teamed up with Vitality in an effort to reward clients for living a healthy life. And the healthier your lifestyle the more money you can save. The goal is to earn reward points: You earn Vitality Points for getting annual health screenings, exercising and staying tobacco-free. The more you do, the more points you earn. As you accumulate points, you’ll see your status rise from Bronze to Silver, Gold or Platinum. The higher your status, the more you can earn in potential premium savings over the lifetime of your policy. Vitality is also offered in joint policies, such as the company’s Protection Survivorship Indexed Universal Life. Survivorship life insurance pays out a death benefit upon the death of the second spouse or business owner. John Hancock Life Insurance Reviews should include a section on the niches offered by the company. Although John Hancock does not currently make our top ten best life insurance companies list, we still write quite a few policies with them when certain conditions are met. The following niches are not exhaustive but will demonstrate where the company has led the way in the life insurance marketplace. Diabetes: Preferred rates available for diabetic life insurance applicants as long as the applicant is above age 60 and the diabetes is treated with oral medication, with no complications such as neuropathy, retinopathy or kidney disease, and excellent control. If applicant is above age 50 then the client can still receive a standard plus rate class. Seizures: A client experiencing seizures can still qualify for a preferred rate class if it has been over 3 years since diagnosis, with a history of 3 or less seizures, with no seizures in the past year. Hep C: A 70 year old with Hepatitis C with favorable liver function tests over the last 3 years can receive a standard rate class. If there is a favorable biopsy then a standard plus or even a preferred rate class is possible. High Blood Pressure: High blood pressure treated with medication can still receive a preferred plus rate class if the condition is well controlled and the client is compliant with medication. Parkinson’s Disease: A client with Parkinson’s Disease over age 80 with very mild symptoms, who lives independently and is fully active, and who takes no medications can still receive a preferred rate class. These are just a few of the many areas where John Hancock might be the best company to apply with. However, there are other companies that have similar niches that might be a better choice based on price. Therefore, it pays to choose a company, such as TermLife2Go, that has access to dozens of the top rated carriers. As you may have read in other John Hancock Life Insurance Reviews, John Hancock is not always the best choice. For example: An area where John Hancock would not be ideal would be sleep apnea. As of 2014, the best rate class the company offers for clients with Sleep Apnea is standard. There are other companies that will offer up to a preferred plus for clients with Sleep Apnea. The key is knowing which company is tailored to you specific health or lifestyle profile. That is where we come in. We work with dozens of top rated life insurance companies. Our job is to know what company offers the best products for your specific health or lifestyle condition. It is only by placing you with the company that has a specific niche for your health or lifestyle profile that you will be able to help you procure the best company at the best life insurance rates. We are not a life insurance company. We are an agency comprised of seasoned life insurance professionals. Our job is to find you the best company at the best price —for you! Give us a call today to see just what we can do for you. It could save you thousands of dollars over the life of you policy. 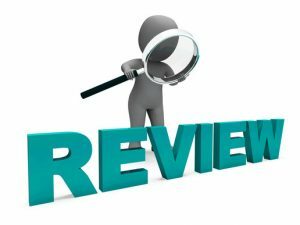 If you enjoyed our article John Hancock Life Insurance Company Reviews or have additional questions, please leave a comment below.